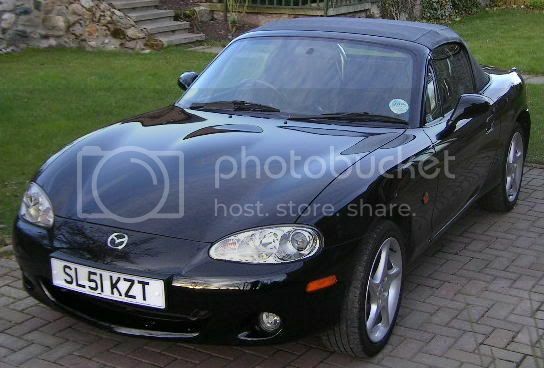 Mazda MX5 1.8i Sport. 2002 51reg, black, 35,000 miles, multi CD, leather heated seats, full Mazda service history, electric windows, alloy wheels, Mazda style bars & wind blocker. Excellent condition. £7,995 ono.